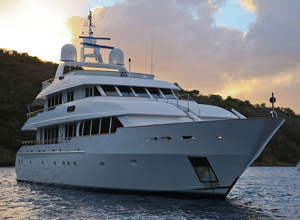 International yacht broker and yacht agent, Jim Webster, invites your interest to the these fine, hand-selected yachts. 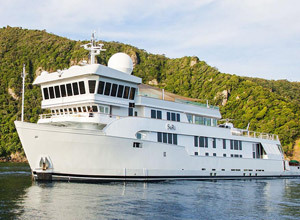 The 61.5m (201.9ft) Calypso is the perfect, private platform from which to explore the world. 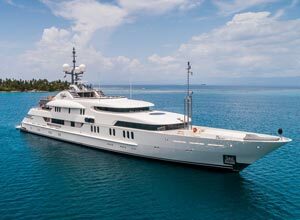 With a range of over 5500 nautical miles she is a go-anywhere yacht built by Amels to the very highest of standards. 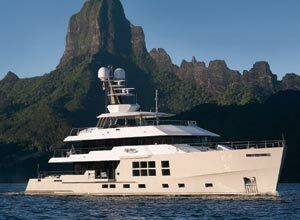 The perfect yacht for those with an explorer’s spirit and sense of fun, Calypso offers the adventure of a lifetime. 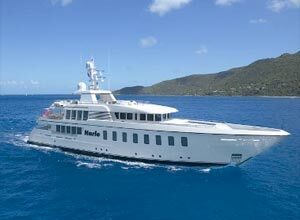 Ideal charter yacht for socializing and entertaining with family and friends. Style & Timeless Elegence - Enjoy the splendid views from oversized windows. 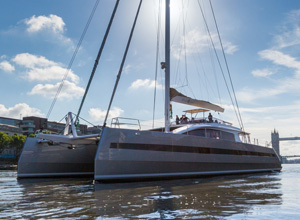 This fast cruising catamaran is the first of a semi-custom "Long Island" series. The hulls are aluminium-built while the deck is in composite material. They have been assembled by bonding. This method has been chosen with the naval architect Marc Lombard, to save weight when keeping aluminium hulls. This 85' catamaran offers spaces and performs like a 100'-110' monohull but with a reduced draught, more comfort and increased stability. "Best In Class" - one of the finest 146' (45m) ocean-going yachts in the world. Rugged. Stylish. Innovative. Stable. Luxurious. Located in the Exuma chain of the Bahamas Islands, Over Yonder Cay is a privately-owned island approximately 265 miles (425 km) southeast from Florida and approximately 70 miles (110km) from Nassau, Bahamas. Approximately 72 acres in size, Over Yonder Cay encompasses four exquisitely design villas capable of hosting 2 to 28 guests. Originally a Bahamian fishing village, Over Yonder Cay has been transformed into a private luxury available for rent.